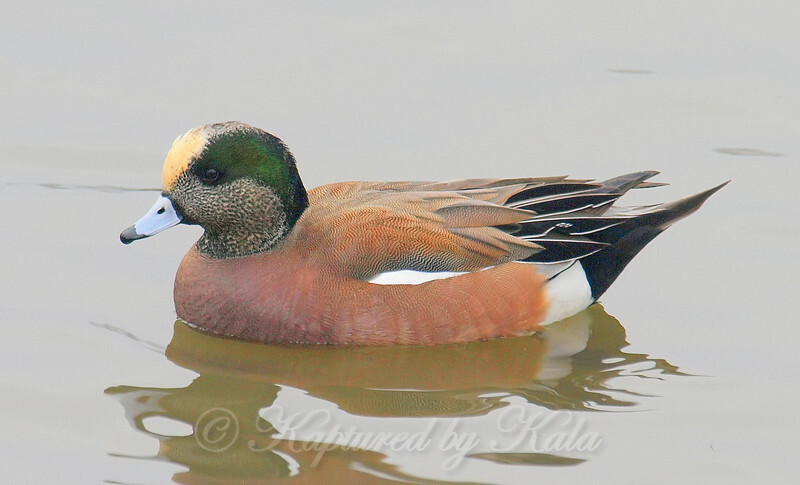 Most of the wigeons I saw were in their breeding colors but this one was slightly different. He was in full breeding colors except for the top of his head. Instead of pure white, it had a yellow tinge. I guess this is a transitional look.